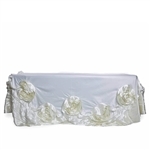 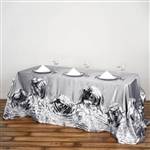 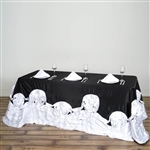 Razatrade is a leading web store for providing exclusive table linens at reasonable prices. 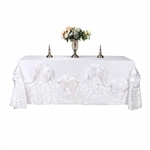 We are expert in providing an array of Specialty Satin Linens such as Lily Embossed Satin Tablecloth 120" Round in Black, 120" Blush Large Rosette Round Satin Tablecloth, Lamour Satin Tablecloths, and more. 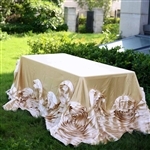 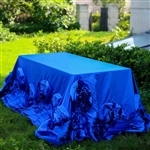 These wholesale priced Satin linens bestow an enthralling appeal to the entire party atmosphere. 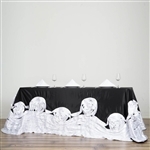 The bulk priced Satin Linens can flawlessly revamp the decor of your lackluster banquet tables, restaurant tables, and dining chairs. 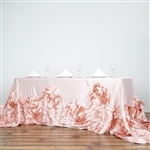 These boutique Satin Linens provide resistance from wrinkles and stain. 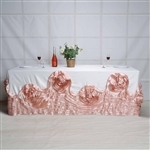 Our Satin Linens are available in an array of colors that will complement any festive theme. 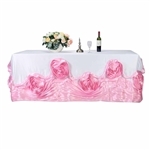 They are perfect for sprucing up the table decor on celebrations like birthday bashes, wedding ceremonies, kitty parties and other theme based events. 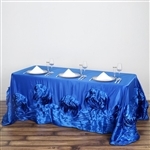 Why buy Specialty Satin Linens from Razatrade?